NEW WAVE – The LSM’s weekly media, music and arts show on SIREN FM needs YOU! You’re invited to get involved from across all three years and across all programmes. Jack Poston will be the programme series editor, and we need folks from all areas of media: film, TV, photography, audio, design, etc to present; research; record; edit; and run the live studio. NEW WAVE will be a sort of sexed up version of Radio 4 type Media Show/Front Row/Woman’s Hour mix with a liberal coating of fairy dust sprinkled on it (in other words aimed at a younger audience!). 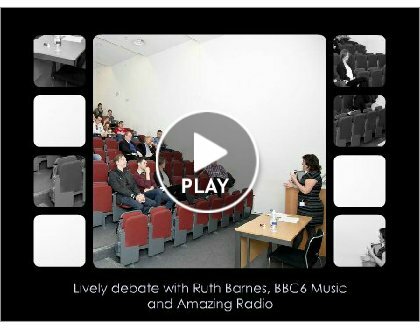 This is a great opportunity not only for all radio students but for ALL students to talk and present all areas of media, music and culture. We’ll also be targeting members of staff as contributors! Please get in touch ASAP with either me, email: brudd@lincoln.ac.uk or Jack Poston. Thanks.